If you're an admin, you can add someone to the board by going to the 'Governing Board' tab and scrolling down to the Add a member section. Type their email address and hit Go. You'll then see some fields appear where you can enter their name, member type, term of office, etc. As long as you've typed in their name, press the Invite to GovernorHub button and they will be added to your governing body. 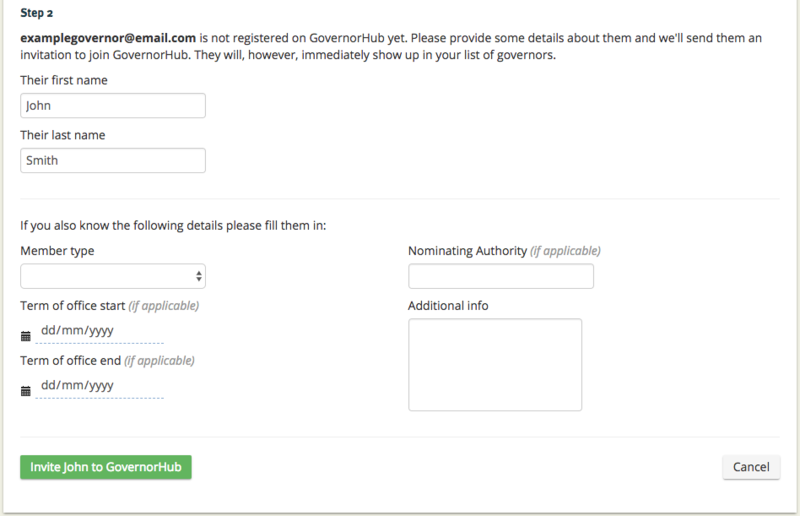 At the same time, the governor will be sent an email inviting them to join GovernorHub and set up their password.